The DeutscheBahn websites and DBNavigator smart­phone app provide a very useful search facility that enables you to narrow your search down to trains with bike-carriage facil­ities (yes this works for trains in Italy). 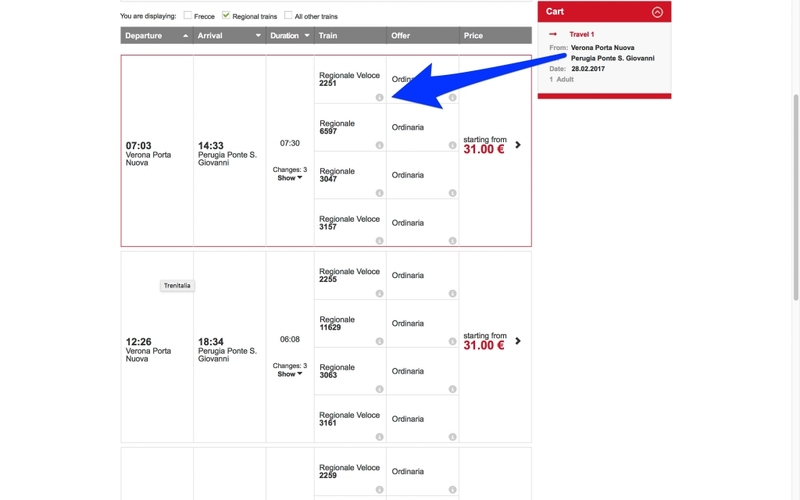 The trenitalia website has also got a lot easier to use to plan train journeys with a bike. 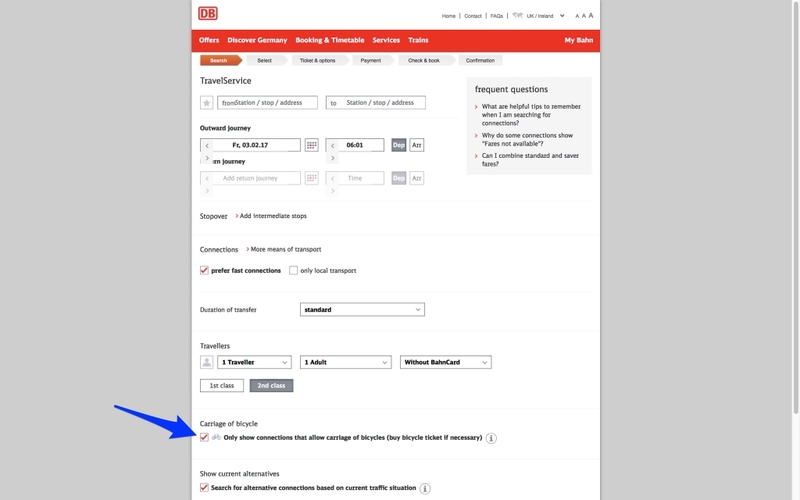 The bahn.com website has an invaluable feature that enables you to restrict timetable searches to trains that have bike-carriage facil­ities. It's pretty easy to use once you know it's there. From the home page you need to click the 'further options' button (and if it doesn't appear click search but leave everything else blank) and then when you get to the search options page scroll down and check the box to restrict the search to trains with bike-carriage facil­ities. Here's the bahn.com home page as it was in February 2017. Click the picture for a larger version and to see the search options page. 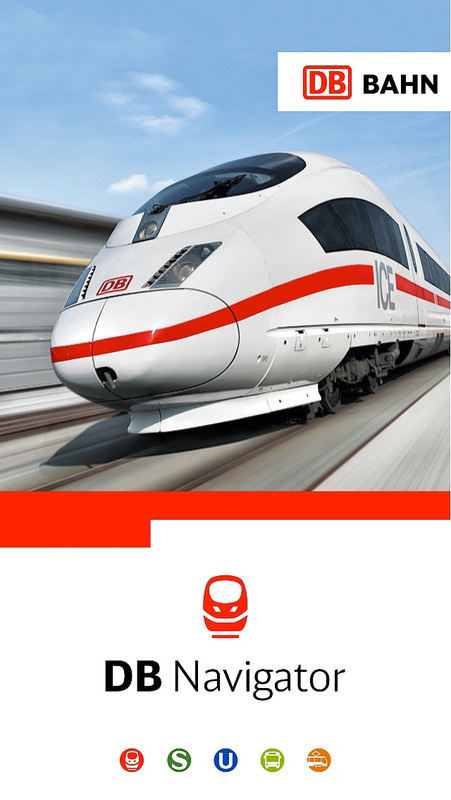 The bahn.com home page and the 'further options' button. Click the picture for a larger version and to see the search options page. Note that the search engine has the 'prefer fast connec­tions' as a default. If you are travelling with a loaded bike you might to keep an eye on the amount of time between trains. If you have a smart­phone the DB Navigator has the same facility, but it looks slightly different. Click on the first screenshot then click through a series of screen­shots. DB Navigator splash screen. Click for gallery. The DB search engine facility to restrict searches to bike-friendly trains works well in Italy, and most of Europe. 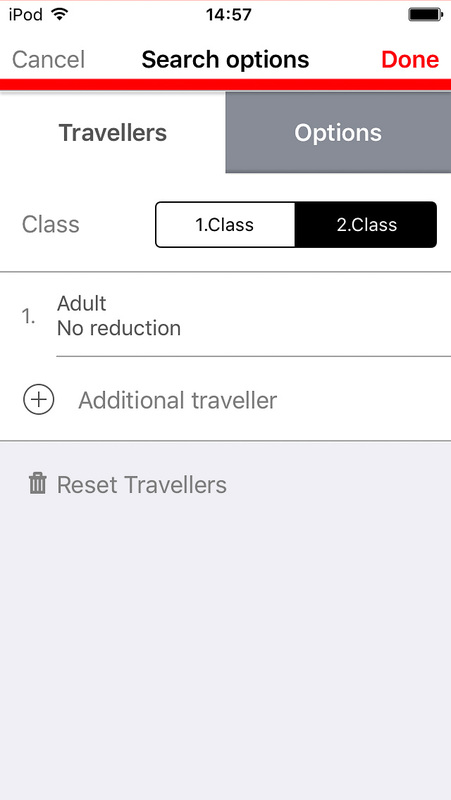 However it doesn't work at all for Spain (although you can still use it for general timetable enquiries) and I have had problems using it for French train times: the search results appear to exclude some trains that do have bike-carriage facil­ities. 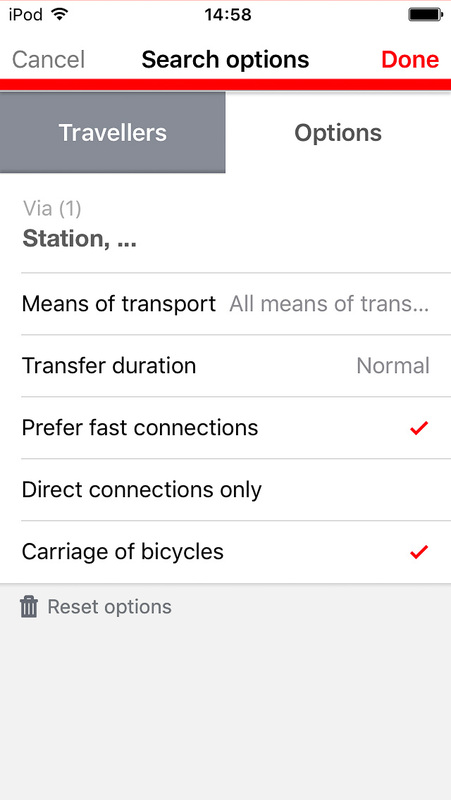 If you need to check the results, you can deselect the bike-carriage option, and instead, select the option to only show local trains. If the search results then show a train that you might be able to take, you can use then go to the national rail company's website to double-check whether that train has bike-carriage facil­ities. 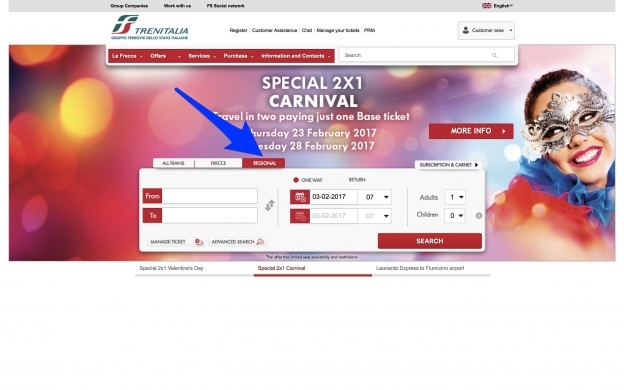 As well as using the DeutscheBahn website, you can also the trenitalia site. The trenitalia site has no option to restrict your search to trains with bike-carriage facil­ities. However, it does let you do the next best thing: restrict your search to regional trains. Generally these are bike-friendly, but you need to check to confirm that the particular train does take bikes. If you go to trenitalia.com. It should look something like this. 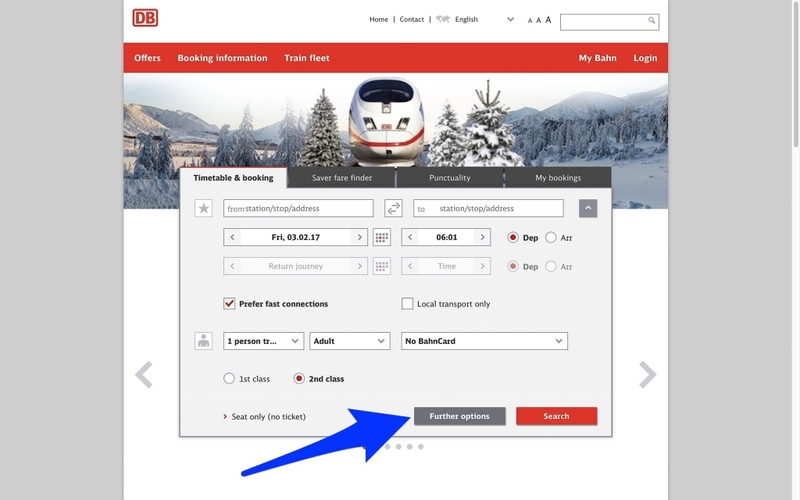 click on the red tab for 'regional trains' and then when you get the search results click on the little inform­ation icon. This will open an overlay and if you are in luck there should be a little bike icon. Click on the picture below and then click through the image gallery. 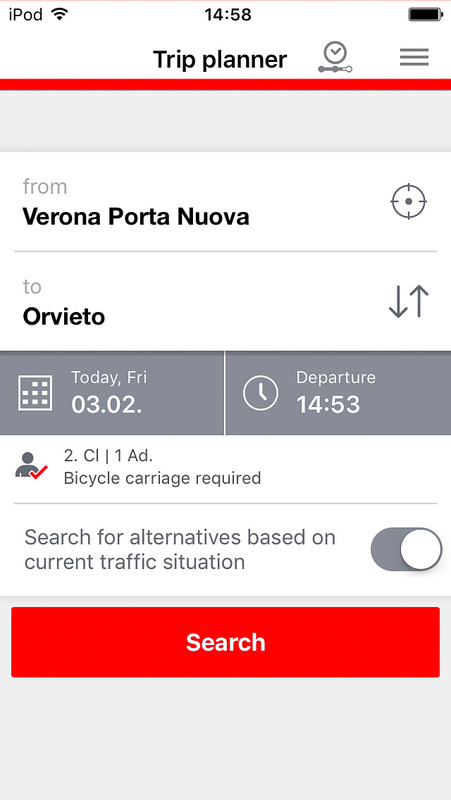 Trenitalia have an app, but if you are travelling with a bike it's not really much use to you. The Partenze (depar­tures) poster at train stations is a very reliable and author­it­ative guide to whether a particular train will take bikes. So if you are at the station you can just look for the big yellow posters. That's not much help if you aren't at the station — except that you can download the big yellow poster in handy pdf format. You need to go to rfi.it the website of the company that runs the stations and rail network (Rete Ferroviaria Italiana). If that link breaks, look for the Quadri Orari. Enter the name of teh station you're inter­ested in and click the button. The page of search results may be all that you need, but if you prefer to have the pdf to refer to then you can download it by clicking the Scarica il formato PDF del Quadro Orario link in the top-right corner. Here's a sample . If you're looking at the depar­tures from a larger station you might also want to enter your departure time, so that you don't end up with pages and pages of results to search through. This method could also be useful if you're researching trains to a particular place: download the Arrivi and then work backwards from there. You can use the trenitalia ticket machines to plan your journey. If you go to the machine, instead of going to the normal ticket-buying screens, go to the Other Services section where there's an option for buying bike tickets. This will ask you for your destin­ation station (and you can change the departure station if you need to) and then plan your journey using trains that have bike-carriage facil­ities. 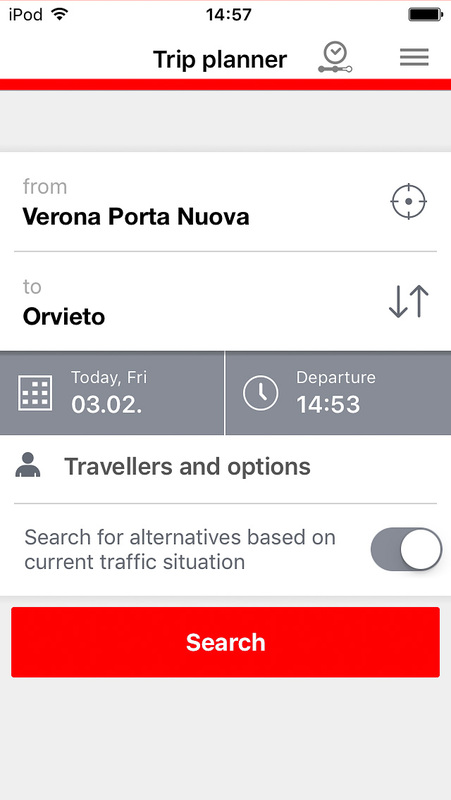 So you don't need to hunt through screen after screen of high-speed trains to find the treno regionale that will get you to where you need to go. I've no idea why it does this because a bike-ticket costs 3.50€ irrespective of where you are going, or indeed why, if they can give you the inform­ation, it's hidden away, but train companies are a mystery to me.